We all have bad hair days… that has a lot to do with what we put in our bodies in terms of what we eat long term, however, taking care of hair is as much an inside job as it is an outside one. For the outside care, Kerastase, an innovative technology created by the L’Oreal Group, is THE name to be reckoned with, worldwide. All over the globe, Kerastase products are associated with professional luxury in line with scientific research. 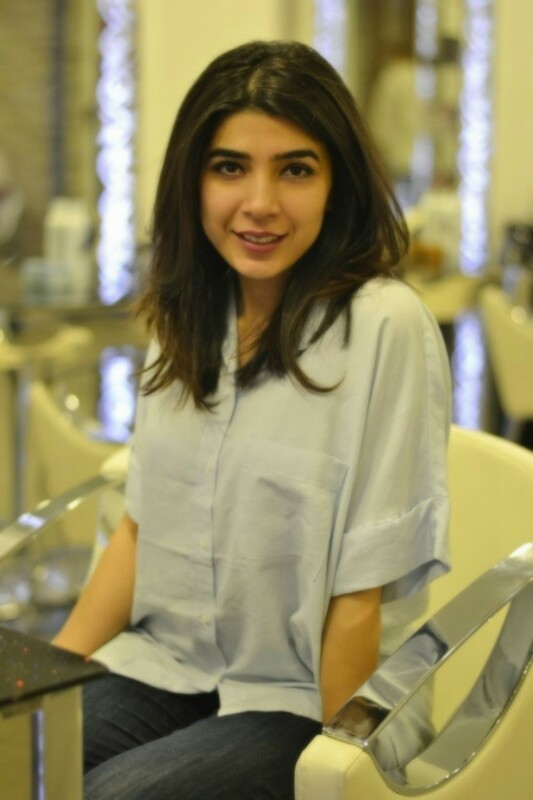 With science on its side, our team experienced Kerastase first hand at ‘Split Ends by Ruby’ and ‘Robert Alexander Salon’ in Lahore. 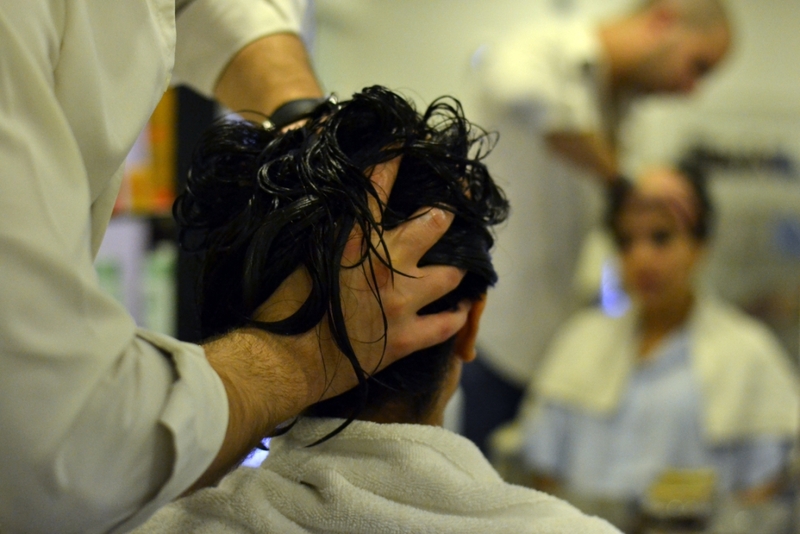 The Kerastase ‘ritual’ or ‘regimen’, as it is called, was a three-step process, preceded by consultation and information. Safe to say, the entire experience was fantastic. 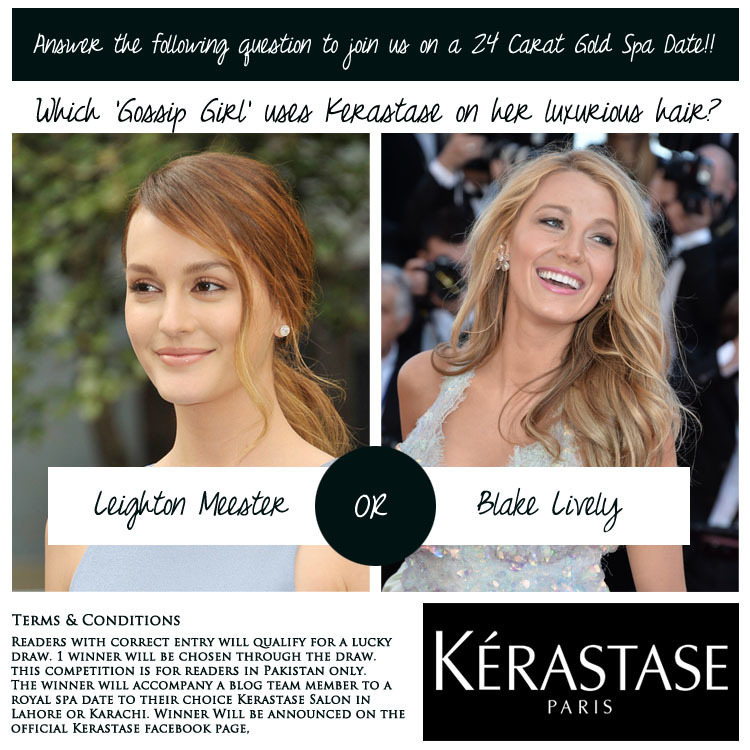 Our Kerastase consultants spent some time analyzing the hair and asking our hair woes. Our standard problems; split ends and dryness. The analysis helped in choosing the right product for the ritual, for which we received in-depth information – a new for treatments like this. The hair, thanks to numerous dyes and constant experimentation, was diagnosed as dry and sensitized for which a specific treatment using the products mentioned in each step below was given. 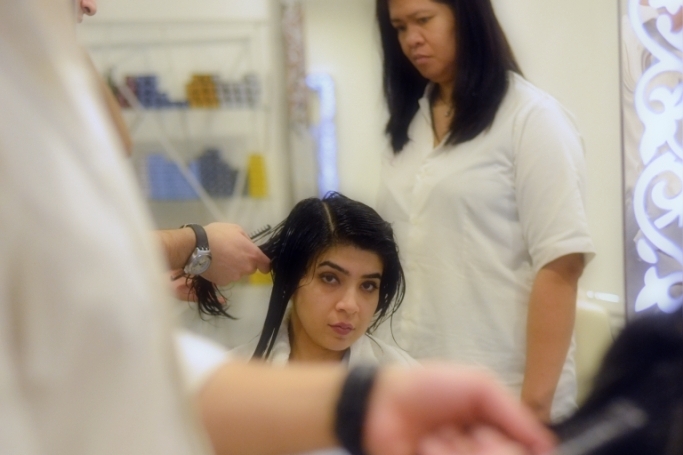 For the cleanse part of the treatment, hair was shampooed with the ‘Bain Satin 2’ shampoo. It gently cleanses and provides selective treatment for the dry areas of hair. It works primarily to quench thirsty hair and provides optimal nutrition for the hair fiber. As soon as the shampoo was applied the texture of hair changed and became soft. Once the shampoo was out, the hair was tumble dried before the next step. For the next step, the Masquintense for Fine/Thick Hair was used. This product is an exceptionally concentrated nourishing treatment for dry and sensitive hair that works to penetrate the fiber of hair with nourishment from mid-lengths to the ends. It is a weightless nutrition for hair suppleness and is a long-lasting defense to protect from returning dryness. The hair was given a towel steam to help open the hair cuticles. The final step in the treatment process used the Fusio-Dose called Concentre Vita-Ciment. It is an intensive reconstruction treatment for weak hair. This product adds strength and resilience to hair and gives it texture. After the process was complete, the Elixir Ultime was applied as a leave-in serum that gives an instant shift in your hair’s dry attitude to a soft manageable front. After which, the standard blow dry made the hair’s day. It is essential to know that the treatment works wonders for all types of hair but it only lasts for a short period of time if used sparingly. Having said this, one must be aware that Kerastase works best when used long-term. It is a ritual that is professional luxury but accessible to the everyday consumer so that treatments do not remain in the salons anymore. The total Kerastase kit will cost an approximate PKR 10, 000 and is available at the dedicated Kerastase salons. Kerestase is available at Nabila and Sabs salon in Karachi and in Lahore at their flagship Kérastase salon, Robert Alexander salon and spa, Splitends by Ruby, Asma T and Arammish Spa. 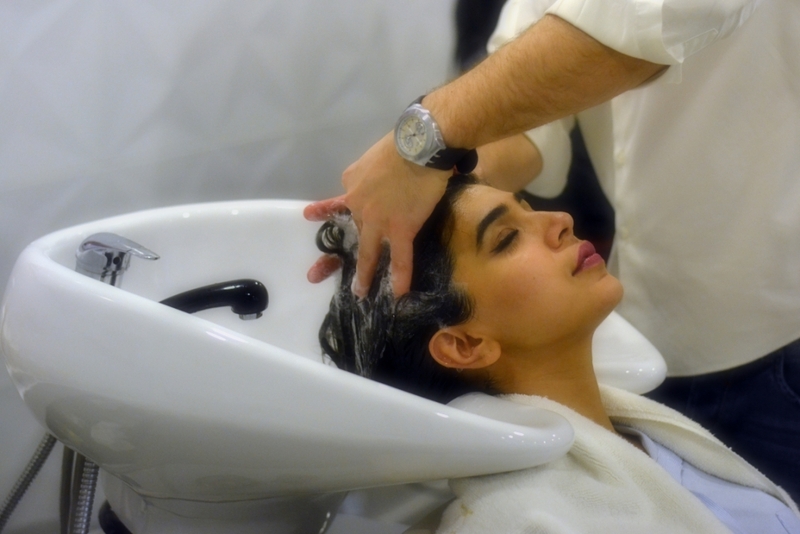 These salons specialize in customized rituals and treatments including consultations for using the product. WRITE YOUR ANSWERS IN COMMENTS BELOW BEFORE THURSDAY, 23rd OCTOBER 2014 6pm. THE WINNERS WILL BE ANNOUNCED ON THE OFFICIAL KERASTASE FACEBOOK PAGE ON FRIDAY, 24th OCTOBER 2014 at 3pm. BEST OF LUCK!! Photo Credits – Anoosh Zeerik of AZ Photography .